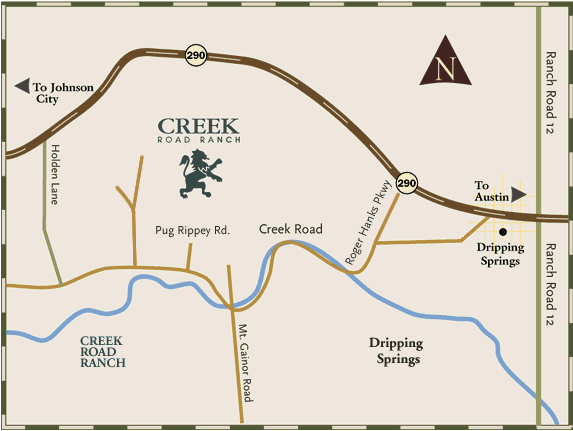 Take Highway 290 West to Dripping Springs. which turns into Creek Road. Follow Creek Road approximately 1.5 miles to the fork. Stay to the right over Onion Creek. Look for the entrance sign on the right. Construction traffic is to continue West of Dripping Springs, Turn South on Holder Lane / 189, then Left on Creek Road.